I loved this book, no doubt because it’s all about character. I would describe it both as a sweeping love story as well as an immigration saga. The book opens with Ifemelu, who emigrated from Nigeria to the United States. From there, the story tips back to tell of her passionate college relationship with Obinze. A recent reconnection with him makes Ifemelu reflect on her life from then to now. I love the quality and quantity of conversations raised by this novel. After a brutal new immigrant experience, Ifemelu found financial stability in a blog about race. She specifically examines all the different variations of experience that find themselves rolled into one label. Nigerian emigrants have a vastly different perspective than African Americans, for example. The book further explores issues of race and perspective through Ifemelu’s relationships: her college sweetheart and fellow Nigerian Obinze, a white American, a black American. Every relationship is distinct and race is undeniably a factor. I hesitate to call anything in this book authentic, because I am not qualified to assess that. I am not Nigerian and have never been to Nigeria. However, I will mention that Ifemelu makes several comments that I have also heard, sometimes word for word, from Nigerians I know who now live in the United States. So I may not have direct experience, but that alone convinced me this book must be a pretty authentic, relatable depiction of life for a Nigerian immigrating to the United States. 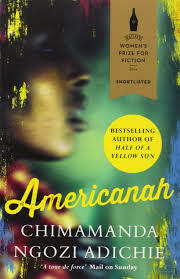 AMERICANAH is one of those books that I truly believe is for everyone, even if you’re not convinced. The writing is effortlessly seamless, the characters dynamic and compelling, the relationships all the more enthralling, and the themes highly relevant. This historical novel follows the Irish royal rebel Elizabeth Fitzgerald, known as Gera, during the period when Henry VIII brought most of her family to destruction. I enjoyed the book, but it did fall a little short of my personal historical fiction standards. I found the voice difficult to follow and, thus, distracting. I have read many great historical novels where the dialogue is more modern than period-accurate. This never bothers me (assuming we’re avoiding overt modern slang), because the style keeps the story moving along and makes the flow more natural. I have also read historical novels that aim for something closer to how people talked during the period. However, in the case of THE IRISH PRINCESS the book doesn’t fully commit to either, which produces an awkward blend of old and modern speak. I also didn’t invest in the romance. Historical fiction binds the author to predetermined outcomes regarding relationships, but skilled authors either convince us why two unlikely people fell in love or clarify why unwilling partners found themselves married off against their wishes. Historical fiction also comes with the added challenge that sometimes period romances look, shall we say, less romantic to a modern eye. In this case, the man is much older than the girl. I couldn’t pinpoint the exact age difference from the novel’s description, but looked it up later and confirmed he was 11 years older than her. However, I would have guessed the age gap was double to triple that from how the man is described in the book, which then left me confused, unconvinced, and squeamish about Gera’s intense attraction towards him. The pacing also felt a little lacking. Gera fixates on revenge, but doesn't take much action. While that may be historically true, the best historical fiction (and fiction in general) makes the events feel driven by the characters. Unfortunately, Gera felt more like a witness to history and you could easily remove her from her own story without changing much. I also didn’t understand the choice of opening scene; it seems misleading, putting focus in the wrong place. On the other hand, what I loved the most about the book is Gera’s passion. Not romantic. I mean the passion in her spirit. Her passion for her family. For Ireland. For revenge. She’s a driven girl who blooms into a driven woman, which also means she’s ahead of her time unfortunately. Harper certainly presents Elizabeth Fitzgerald as an intriguing figure in history. Immediately after finishing the book I started looking into Gera some more. 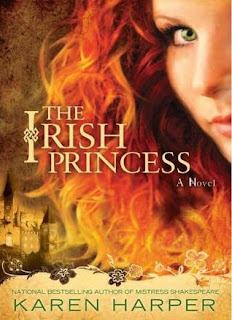 THE IRISH PRINCESS is a bit like a drink that only makes you thirstier. I enjoyed it, but now I need more about this fascinating Elizabeth Fitzgerald. This book almost didn’t make my cut for a review; I have such strong criticisms that I feared a review would read mostly negative. However, when measuring whether or not to review a book, I try to ignore all the little (or big) aspects I disliked and simply ask myself: did I like the book? Would I recommend it to someone else? 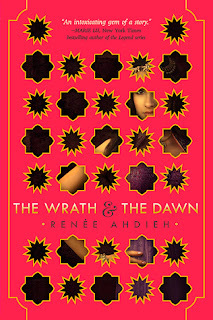 And, yes, I liked THE WRATH AND THE DAWN. I would recommend it to young adult fantasy readers, especially those who prioritize a strong setting. The summary of my criticisms is that I found this a good story full of plot holes. If you’re so inclined, you can easily rip at those holes until the story is in shreds. I suppose it’s a matter of credibility and suspended disbelief. Let me describe the premise. Every night, Khalid, the Caliph of Khorasan, takes a new bride, only to have her executed at dawn the next morning. After he murders Shahrzad’s best friend, she volunteers as his next bride, determined to murder Khalid herself before he can continue his vicious, unexplained killing streak. My primary criticism is that I wanted to know why Khalid kills his brides at the start of the story. I couldn’t invest without this information and grew increasingly frustrated the longer that remained a mystery, only to discover the explanation is being withheld as a big reveal for the end. That meant I never fully invested. Without specific spoilers, there are also numerous other, smaller questions that distracted me throughout the story. Either it’s a genuine plot hole or my question wasn’t addressed to my satisfaction. Regardless, the book presents several circumstances as a no-other-choice situation....except I see other choices and find myself thinking, “But why don’t they just...?” One specific I can share is that it’s never clarified for me why Khalid spares Shahrzad that first night. It seems to come down to an emotional, lucky fluke, but I want her actions to have saved her and instead it feels like she owes her life to well-timed chance. In general, the author hand feels heavy. If asked why a character did something, I would say it’s because the author needed them to do that to move the story forward rather than because of any logical motivation on the character’s part. I waffled about reviewing this one, because I know my criticisms sound very harsh. However, when I asked myself if I would recommend it to others my answer is still a confident yes (especially if I can tell you up front that you won’t find out why Khalid kills his brides until the end, so don’t wait on that). 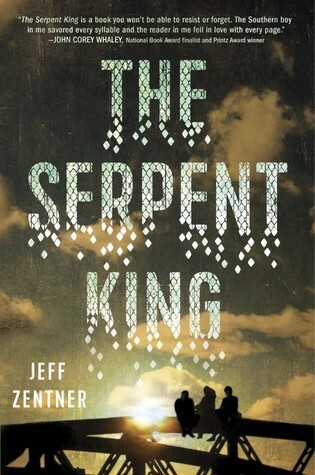 At its core, this novel is beautiful and successfully transports the reader to another world.